This vantage point is a bit difficult to reach. 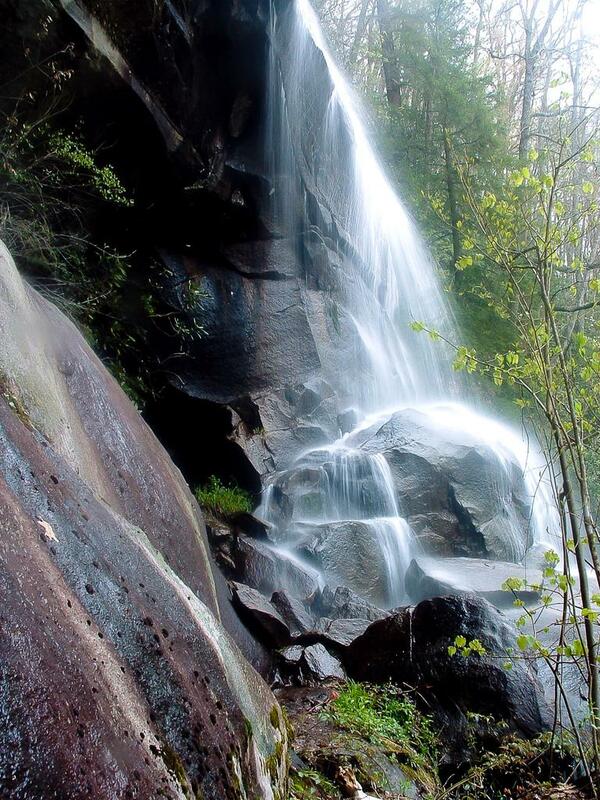 Climbing around waterfalls is generally not safe, and can destroy fragile plant and animal habitats. Be very careful around all waterfalls!